App prototyping models offer a fast and intuitive platform for designers to design smarter apps. 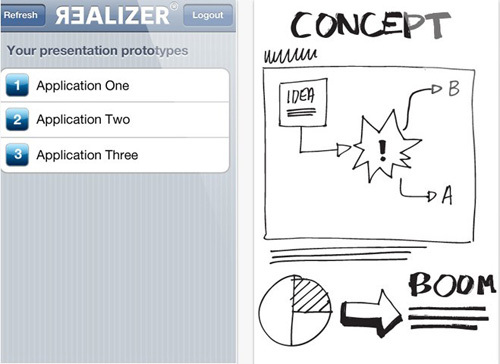 This article gives 5 intuitive prototyping tools to build, run and share better apps. The hardest part of an app development is from conceptualization to testing and implementation. In other words, the entire process is tricky and cumbersome for designers and developers alike. Not any more, the below list of app prototyping tools will re-define the way you think, work and build apps. 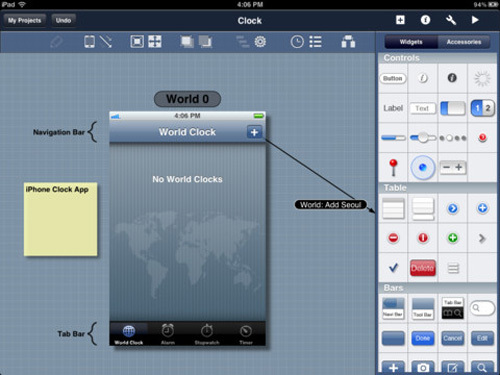 iMockup for iPad offers a premium mobile wire framing and mockup web app. This is an incredibly essential tool for web designers, iPhone developers and anyone who wishes to design a user interface with a great wireframe mockup. It combines a fantastic interface with an intuitive utility, using the idea of touchscreen devices. The app helps designers to work quickly with a custom canvas, can share projects with friends or colleagues for stress-free collaboration. 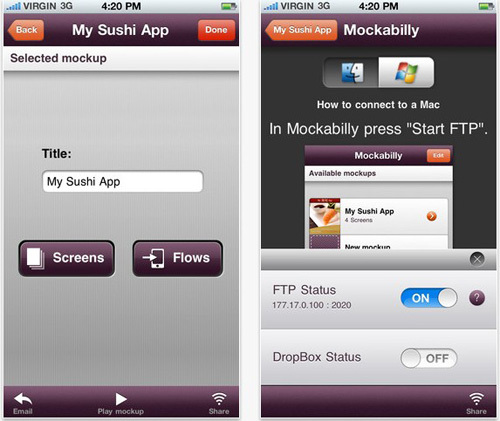 The app supports multiple projects with several pages, thus helping you to stay planned. The app is compatible with iPad and it requires iOS 3.2 or later. POP helps to create extremely interactive prototypes in a quick and easy way. You just have to follow a three-step procedure design, click, link and play. 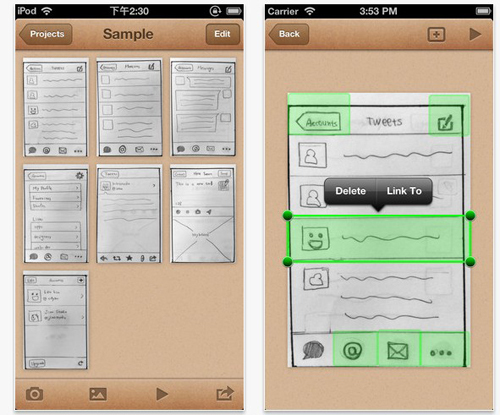 All you have to do is take pictures of your wireframes, link them and they are good to go on iPhone. It lets you import your images built using Photoshop or Fireworks, and simply integrate them with POP. Once uploaded on POP you can easily share these images with friends and family to get interesting responses. With the new upgrade you can completely skip the sign-up process in POP and use the camera either as black and white or in color mode. The app is compatible with iPhone 3GS, iPhone 4, iPhone 4S, iPhone 5, iPod touch (3rd generation), iPod touch (4th generation), iPod touch (5th generation) and iPad. It requires iOS 5.0 or later and is optimized for iPhone 5. This is a simple to use app builder that lets you develop, run and share your app. It has simple to use and intuitive interface that is ideal for designers and developers. It offers customizable widgets so any user can simply design any screen. It lets you assign actions to your screen widgets like swipe or tap. The best part of the app is that it does not require you to write any codes. The app provides a number of features to its users such as they let you create links between screens and widgets so you easily identify the flow of screens, color your widget background, email your projects to friends or colleagues, share images across all Blueprint projects and much more. The app is compatible with iPhone, iPod touch, and iPad. It requires iOS 5.0 or later and is optimized for iPhone 5. This is a great tool for creating app prototypes for creating mock-ups without an objects kit. All you need to do is just to assign layouts for your app screen. You can build interactive mock-ups with your favored image editing software. 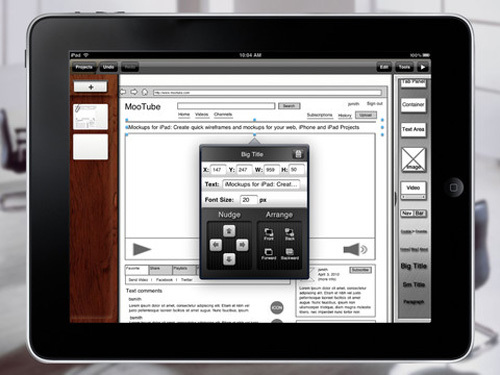 You can simply integrate your designed screens into the app and come up with instant mock-ups. The app lets you create mockup screens from image libraries and further define the mockup transition. After designing you can run your mock-ups, and easily shuffle between edits and play within your mockup. The app is compatible with iPhone, iPod touch, and iPad. It requires iOS 4.3 or later and is optimized for iPhone 5. You can even use software’s which use heavy coding for developing apps. However, with more and more consumers demanding a whole new range of apps at a faster pace designers need to look for innovative methods of app development. The above mentioned app prototypes are sure to offer faster and creative alternatives to app developers.